Deadline reports that Franco is set to host an Ovation show called James Franco Presents, a weekly series that Franco will also executive produce. The show will explore art "everywhere in our lives," and is expected to air this November. As Deadline notes, with Franco as host, the series could give ovation a bit more exposure among the sea of other cable channels out there. On acting alone, I consider myself a moderate fan of Franco's work, with 127 Hours obviously being among his better performances. What I really appreciate about Franco is that he's completely unpredictable. One minute, he's nominated for an Oscar, the next, he's appearing in a soap opera. His IMDB page is full of upcoming credits, including a guest spot on The Mindy Project and a rumored role as himself in the Veronica Mars movie. He also has the feature drama Child of God coming up, in which Franco not only stars, but also wrote and direct. Suffice it to say, the man likes to work, and he's creative enough to expand his reach beyond acting. 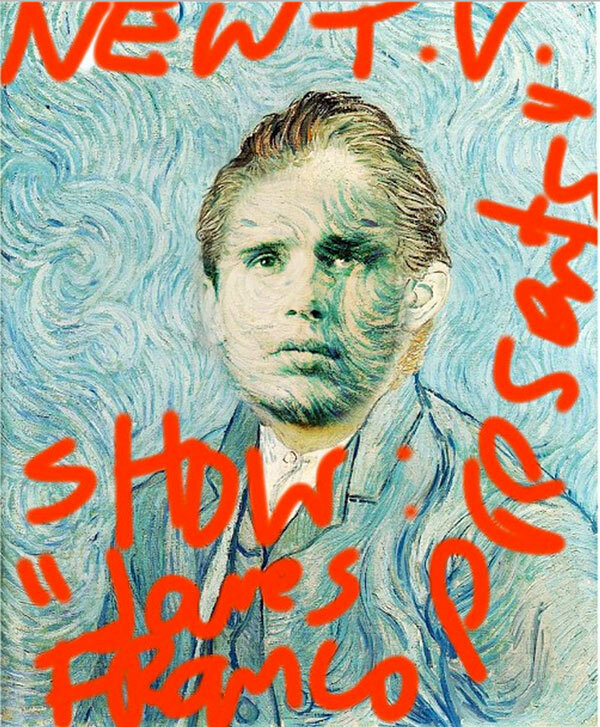 Whether or not he's an art expert remains to be seen, but for his James Franco Presents series, he may not need to be. Art is for everyone, experts, novices and enthusiasts alike. In the meantime, we also have The Comedy Central Roast of James Franco to look forward to coming up. Franco will be front and center for the event, which will have Bill Hader, Jonah HIll and others lined up to poke fun at him. Something tells me his diverse career choices will come up among the things he's ribbed about. Franco's This is the End co-star Seth Rogen will serve as Roastmaster. It's set to air Labor Day, Monday, September 2 at 10:00 p.m. ET/PT on Comedy Central.